The Rotary Club of Auckland is one of the longest serving clubs in Australasia. It was founded on June 13, 1921 with 55 Charter members by Special Commissioner, Jim Davidson, from the Club of Calgary. The inaugural meeting was held at Priors Restaurant in the Strand Arcade. Hon George Fowlds and Charles Rhodes did most of the groundwork in bringing Rotary to New Zealand and they honoured the Auckland Rotary Club as first president and vice-president. 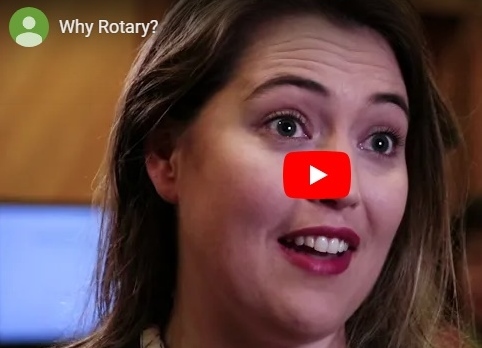 As the first service club in Auckland, Rotary pursued a vigorous community services programme, which you can read about under "We helped set up". Over the years, Rotary has remained a centre of goodwill, energy and direction for the city and continues to fulfill its role of building "bridges of friendship" in its international service. Rotary's ideals remain relevant today and will continue to carry a message through the coming years. The history of the Rotary Club of Auckland is a history of its many services and charitable support. And, with its dedicated members, the Club will continue to fulfill the Rotary objective by encouraging and fostering the ideal of service as a basis of wholesale enterprise.